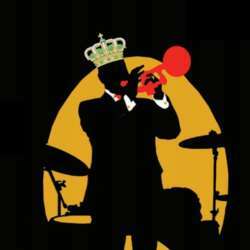 You must be a member of the Brussels Jazz & World Music Lovers Group to attend this activity. Would you like to join this group? VIP table booked for our Internations' group ! First floor, on the mezzanine, with a view on the stage below. Krewe du Belge is a belgian company of the New Orleans carnival. Their ambition is to promote the culture of this outstanding city : its folklore, culinary art, cocktails, myths and that incredible ability to survive. And also, of course, its music : jazz as well as funk, rock, rap, folk... A city that has never been as creative as today, 15 years after Hurricane Katrina. “Bal” as in the Nola tradition. A King and a Queen will be crowned. Cocktails, gumbo and Po’Boys will be tried out. Everyone will be invited to express their grievance for the past year, on a parchment that will be burnt and thrown by the Krewe in the Mississippi river a few days later. A “Big Easy” music festival will liven up the evening, with several Belgian bands, equally passionate about New Orleans music, with compositions from the 20’s untill now.